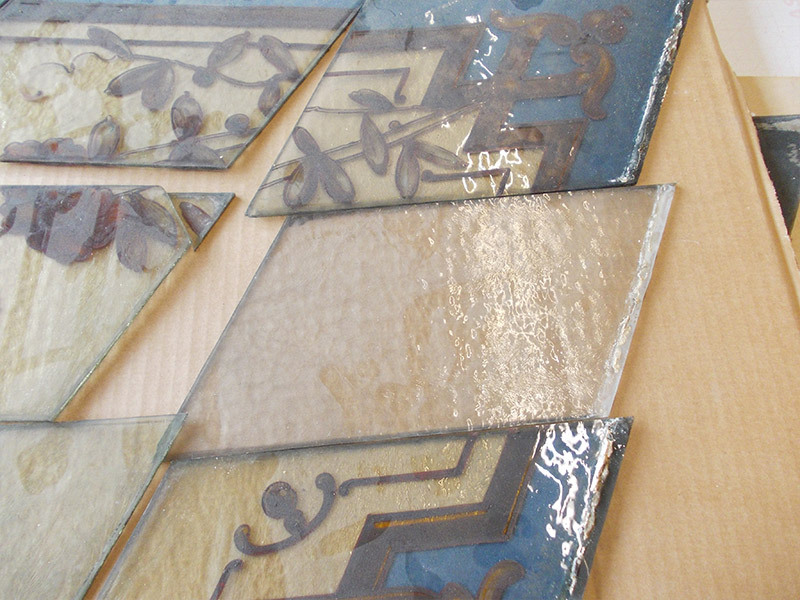 We preserve and/or renew historic glass works. 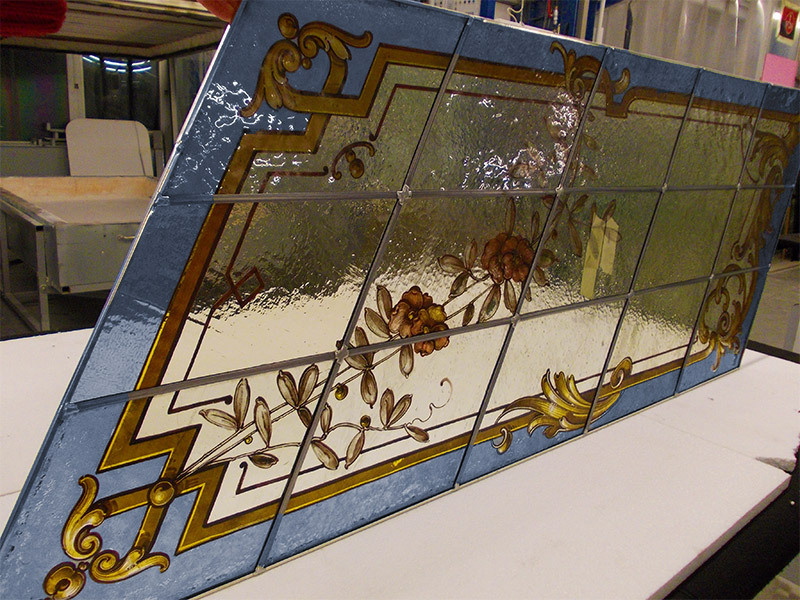 The restoration of historic glass is very challenging and is documented in close collaboration with our customers. The first step is to analyse the item to determine what work needs to be done. 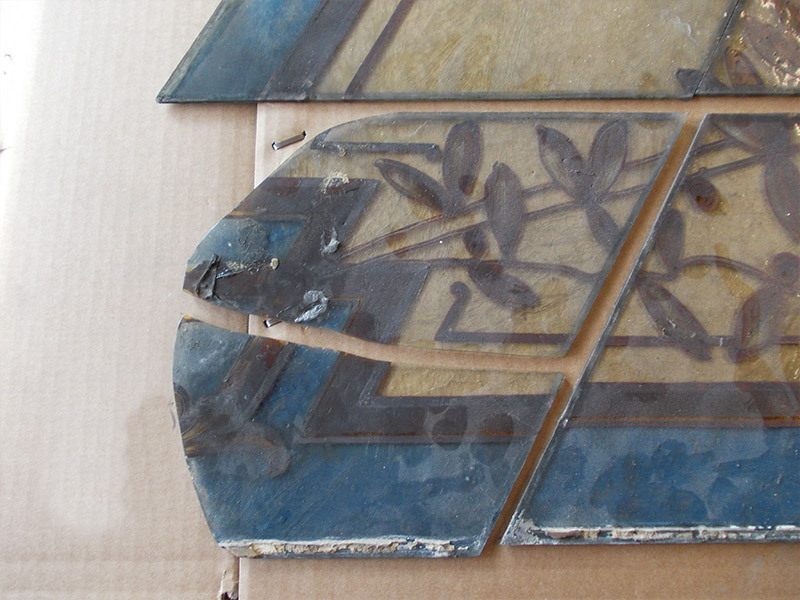 Afterwards, the existing glass pieces are secured and restored; damaged parts are replaced. Should there be any glass pieces missing, they can also be added if requested. So that we can cater to your needs in the best way possible, we work with experienced and professional partner companies for matters such as glass painting. Our experienced team is always happy to assist you. Bonding broken elements, reconstructing existing paintings, removing damaged lead nettings, new lead lining, soldering, cementing and patinating. 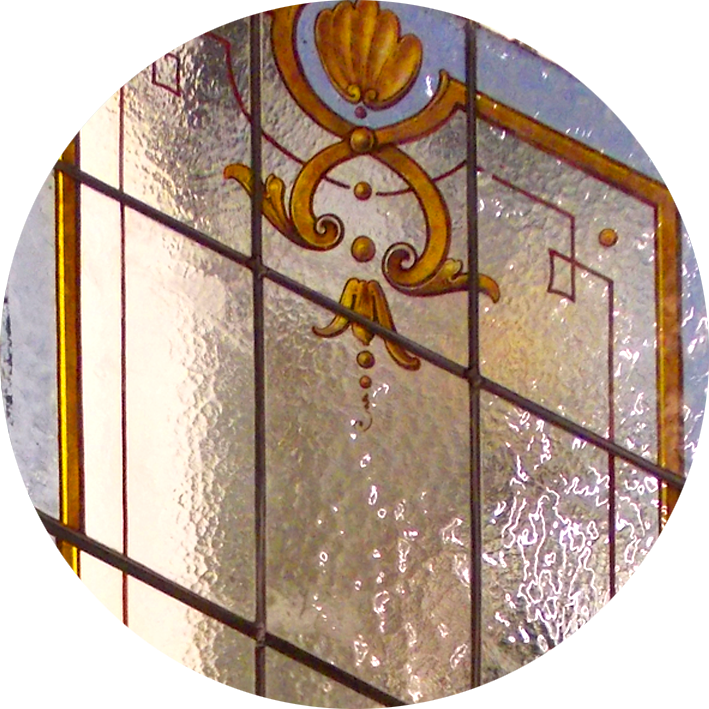 The restored leaded glass window shines with a renewed lustre!